#1 | Posted: 04/12/2019 15:39 | Post subject: Modal Jazz Music - Can you explain it for a novice like me? I'm just starting my journey in building an appreciation for jazz music. I see and hear all the accolades heaped on Miles Davis' "Kind of Blue" and it is often referred to as modal jazz. What are the specific features that make this a masterpiece of that style? Is it a dismissal of melody for tone? To me I don't hear any melody on "Kind of Blue." While I'm a great deal older, if you could explain what modal music is in terms a 12 year old could understand, I'd really love to learn more and begin to fully appreciate this music and fill a musical blindspot for myself. Thanks for your time and informative responses. Modal music is at once surprisingly easy and yet deceivingly complex. It is particularly hard for most to understand since we grow up in a tonal, rather than a musical world. The shift, technically speaking, from tonal to modal, isn't that great, but in mood and application, it's huge. Lots of folks will give very different explanations, which only serves to muddy the waters further. I think this link does as good a job as any I've seen in explaining it. Hopefully it'll help. The tune, So What, is a good example. Whereas previously, a lot of bebop improv had been about navigating a labyrinth of chord changes, So What is about improv over one chord, which forces a different approach. So What has that bass melody followed by the chord figure Em to Dm. Dm is the focus here. When they take solos, it’s just over the Dm. All music has to go somewhere, so there’s that shift up a half step to Ebm, and then it comes back to Dm. When you play over a single chord, you can play the notes of the chord, which is what Miles does at the start of his solo, and then you can choose other notes that don’t belong to the chord, which is what Miles does as his solo develops. Those other notes add colour, and suggest different modes. The problem is that all that is no different than tonal music, hence the confusion for many. In both cases, you have a chord, and then you have notes outside the chord providing color. The key (no pun intended) is where the emphasis is applied. It's important to note (again, no pun intended) that there are multiple modes which can be associated with any given scale. For every possible do re mi fa so la ti do, which note(s) are emphasized within that scale will determine tonality or modality. It's the emphasis on the root/third/fifth/(and maybe seventh) of the scale or is is around the notes of one chord that lie within that scale, not starting on the root note? That's what gives the modal sound and feel of the music. It just means it's jazz that's structured around modes rather than tones. Coltrane, Evans, Hancock and Pharoah Sanders used it quite a bit. Wow! I have a lot to learn! Thanks for the thoughts and explanations, Fischman, rkm, and Hayden. I'll take a look at the links you have provided in addition to what you have written. For the past few months I have really been struggling with this. Like I wrote in my OP, the "Kind of Blue" album has been a real challenge for me. I know it's supposed to be great, but when I'm listening, each track seems to be similar to the one that came before and the one that comes up next. Perhaps "Kind of Blue" isn't the place to start. I have tried and enjoyed Dave Brubeck's "Time Was ..." box set and Charles Mingus' "Mingus Ah Um" which may or may not be modal (I'm still not 100% sure I have yet to build an understanding of the concept). I also have enjoyed Miles Davis' "On The Corner", and Herbie Hancock's "Head Hunters" albums, but "Kind of Blue" so far has eluded my understanding. I'll keep trying. Thanks again. I'm still looking for further help here from all you contributors and music educators, too! If you're a jazz beginner, you don't really need to know what modal jazz is. It's a relatively small subgenre that was more or less absorbed into mainstream and free jazz. The reason why you're listening to Kind of Blue isn't because it's modal jazz, but because it's the most popular jazz album of all time. You would've been better off asking about why this particular album is considered so great, but since you're a beginner, the wrong turn is completely understandable! Miles Davis is the most popular instrumental jazz artist of all time. He's not the most technically virtuosic trumpeter, but his lyrical, original playing was influential and connects strongly with listeners. He innovated or at least was at the forefront of several different styles of jazz, including cool jazz, modal jazz and jazz-rock fusion. A great bandleader and conceptualizer. The group on Kind of Blue is an all-star band. John Coltrane, the tenor saxophonist, is virtuosic, one of the greatest improvisers in all of jazz, his playing offering a blazing contrast to Miles' more impressionistic style. Cannonball Adderley was arguably the best alto saxophonist between Charlie Parker and the free jazz era. Bill Evans, influenced by classical music, was himself a very influential jazz pianist. The songs are melodic by modern jazz standards, though maybe not by pop standards. The bass states most of the melody in "So What" with the horns playing the two-note riff that sound like the words "So. What" in response to the bass melody. But ultimately it's the all-star combination of soloists and the cool mood Miles sets that makes the album so special and popular. "Freddie Freeloader" does sound like a slower variation of "So What," but I don't think the rest of the songs sound alike. That it was also the first famous modal jazz album and presents a particularly accessible form of it isn't essential for a newbie to know. Charles Mingus isn't modal jazz per se. His style is his own, somewhere between be-bop, free jazz, swing, blues and gospel. Since his music's a little more challenging than late 50s Miles, I wouldn't recommend you start with that (though On the Corner's pretty intense in its own way!). I'm not a Dave Brubeck fan, though "Take Five" is a great song. @PurpleHazel Thanks for the explanation, I don't know about TheDude but I was asking myself that question. 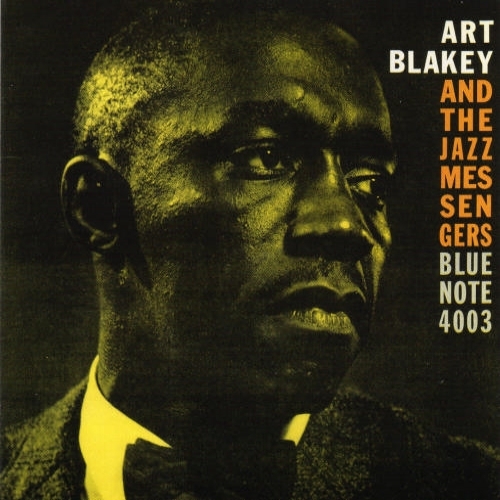 Maybe because I'm more used to rock music and related genres, but I am not very fond of Kind of Blue (still got more listens pending though) and now I am curious if I will like that Art Blakey album. I will listen to it, thanks. Those are excellent choices. I've long since left the beginner stage, and Moanin' remains my #1 jazz album of all time. Cool Struttin' is easily top 10%.